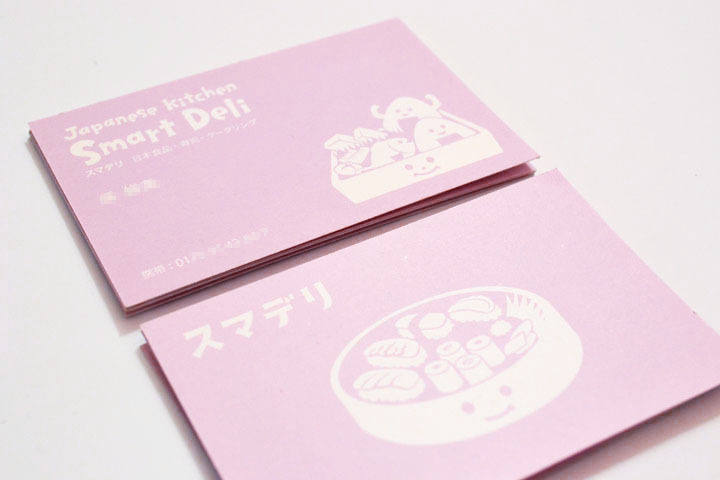 Photo above: Illustrations on the right cards (woman in Kimono) are by Smartdeli. 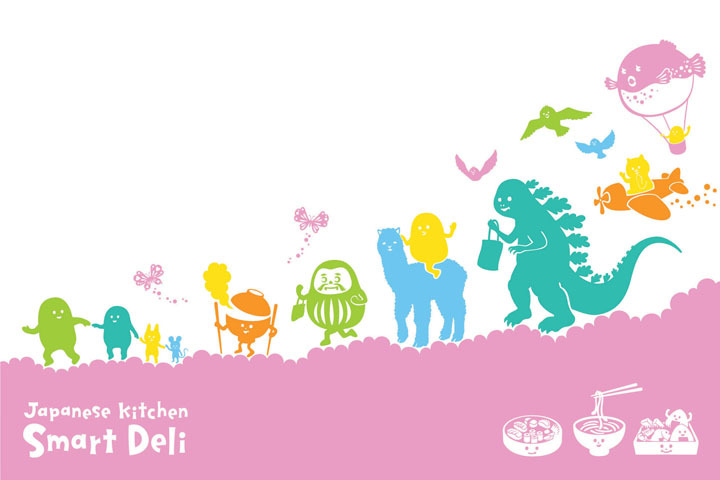 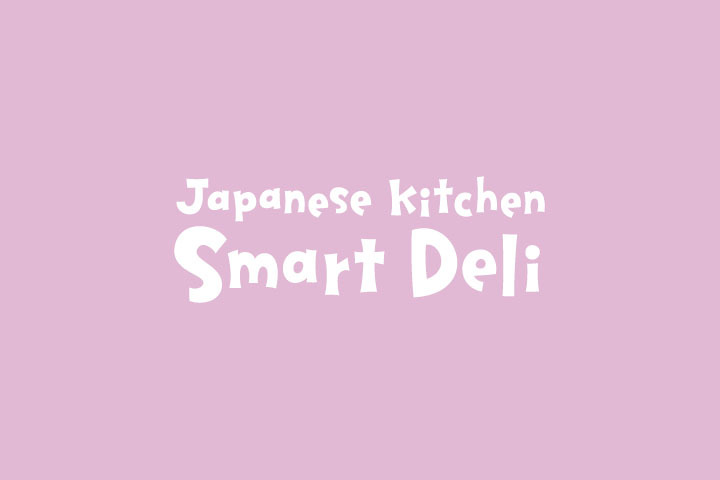 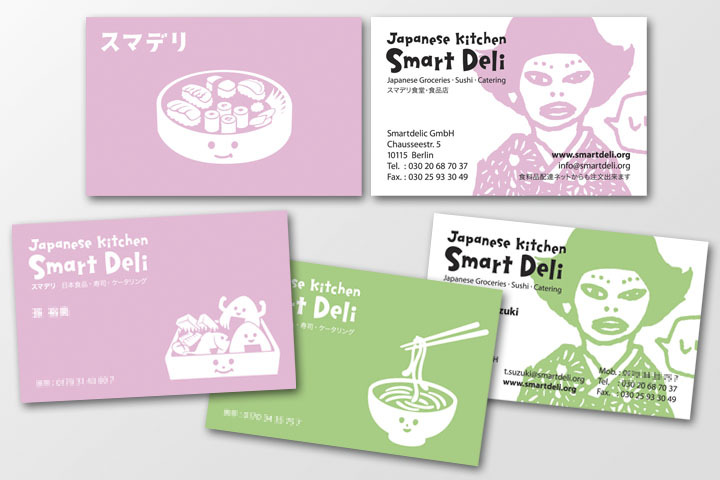 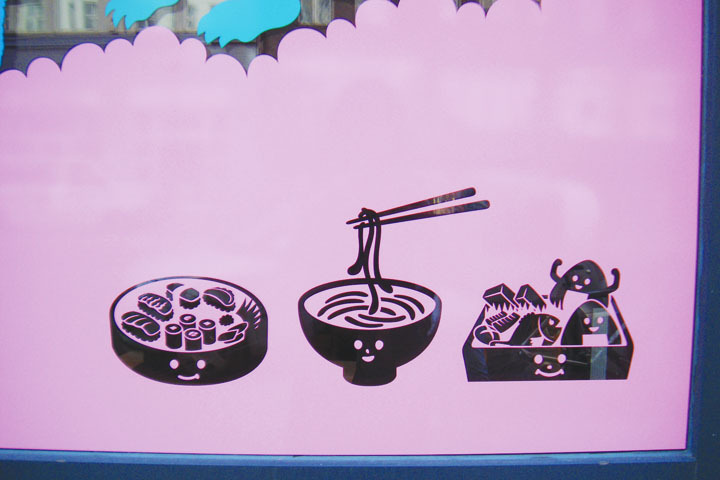 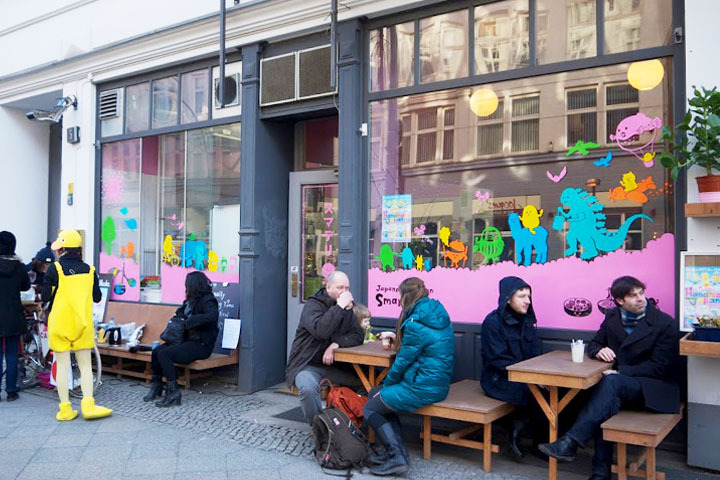 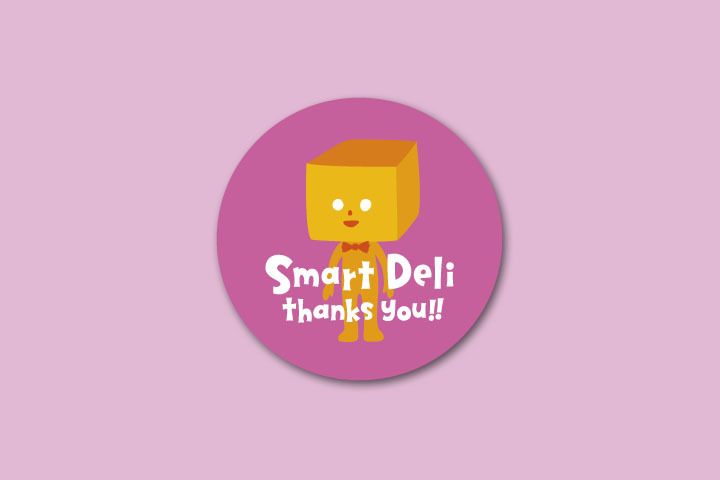 Graphics for a Japanese restaurant “Smart Deli” in Berlin. 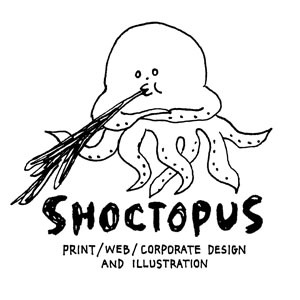 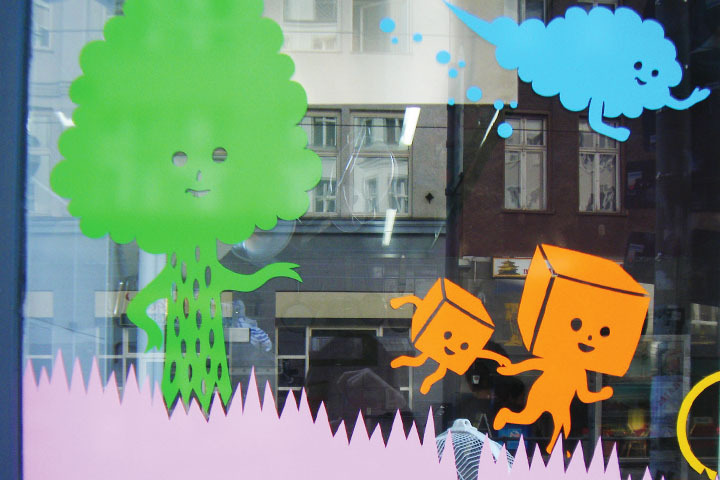 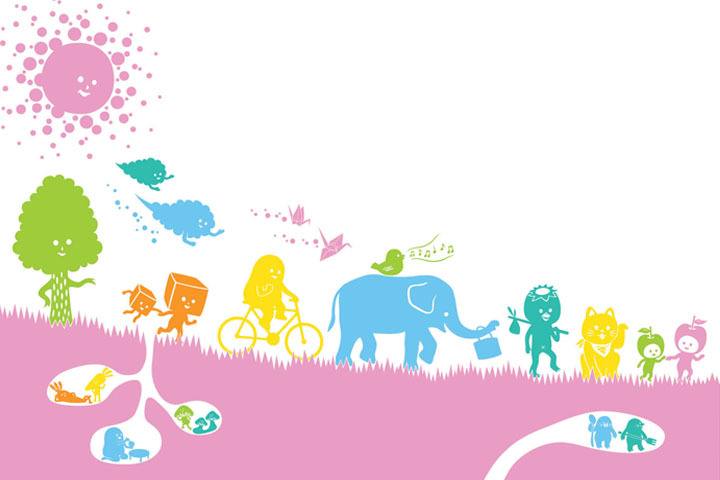 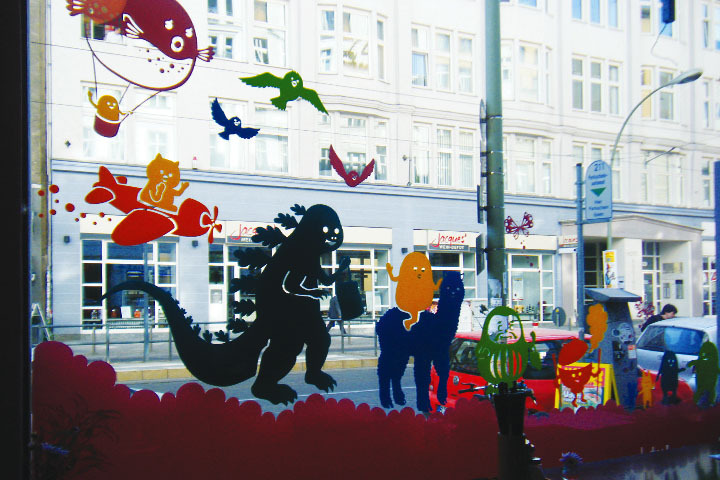 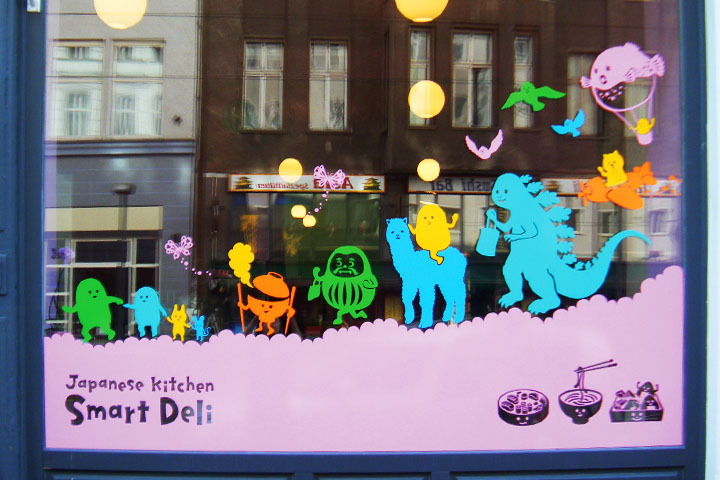 It was so much fun to make big illustrations for the shop-windows.